To celebrate the release of Mamma Mia! 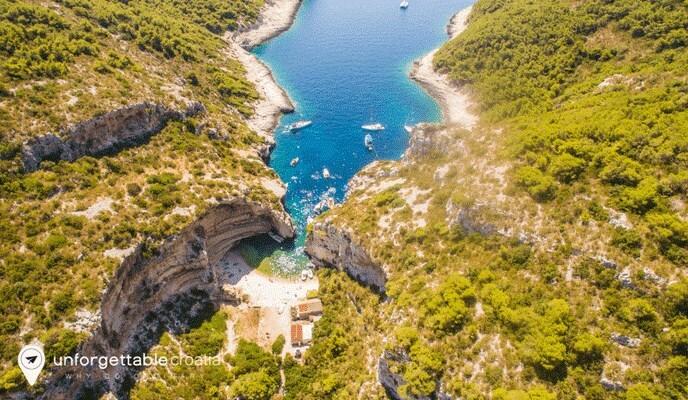 Here We Go Again!, we’re focussing on Croatia’s Vis island, where the movie was filmed. Today, we’ve asked two of our travel experts to tell us their favourite things about Vis. 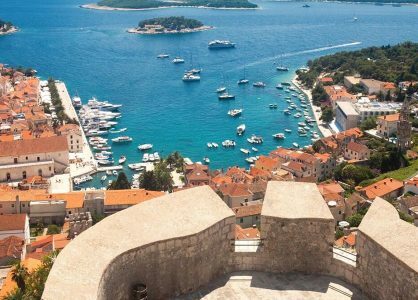 One of the best ways to incorporate Vis into your holiday is on a Croatia cruise. My favourite bits of Vis island definitely have to include the three most amazing beaches; Stiniva, Stoncica and Srebrna. Stiniva (pictured above) is the most famous of Vis’s beaches, largely helped by the award it won in 2016 for Europe’s Best Beach. It’s beautifully picturesque and worth the challenge of reaching it; you can either climb the steep path downwards from in land or take the more popular option of access by boat. The little cove is guarded by two protruding cliffs which have a gap of just a couple of metres between them. The protective cliffs mean that the water behind them is very calm and still, and there is little wind on the beach. Stoncica is one of Croatia’s few sandy beaches. Again, it is very sheltered. The water here is shallow so ideal for young families. Grab a delicious local lunch at Konoba Stoncica, where they grow their own vegetables behind the restaurant and serve lamb reared on the island. Srebrna is another popular beach. 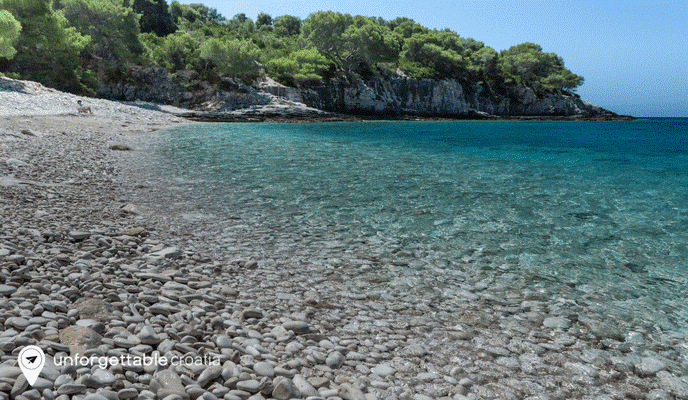 Lie on the large, flat stones to catch some rays, or relax in the shade of aromatic pine trees. I’d also recommend trying Viška Pogača – a delicious sort of baked bread pie unique to the island of Vis. It’s flat, similar to focaccia but contains a layer of filling. Traditionally fillings are anchovies, herbs, onions and sometimes tomatoes. It’s ideally washed down with Vugava wine – a grape variety almost exclusively grown on Vis. 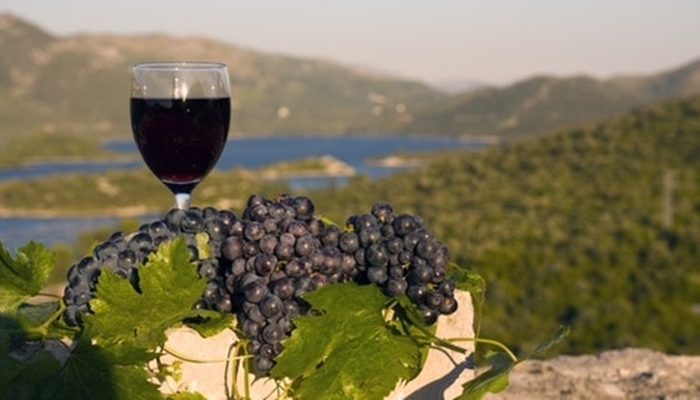 Vugava is one of the oldest grape varieties, introduced by Ancient Greek colonists. Lucy Matic Bozic is Unforgettable Croatia’s Business Development Manager. She works in our office in Split, where she is from and where she lives with her husband and their young family. Having grown up in Split, I visited Vis often as a child. 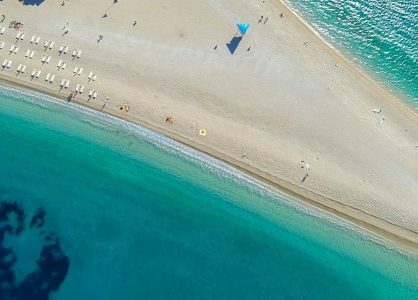 I love Biševo island which you can easily reach using the regular boat connection service from Komiža. 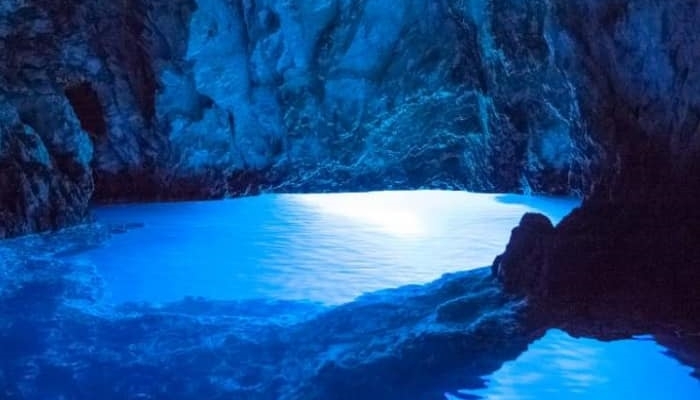 Biševo’s Blue Cave (or Modra Spilja) is truly magical. If you go at the right time of day, the whole interior glows bright blue because of the angle of the sun hitting the water. Though be warned, the Blue Cave is by far the most popular cave and sometimes a queue of boats forms vying for position. Medvidina Cave is also incredibly beautiful and has been a protected nature site since the 1970s. I’d recommend exploring Biševo further; there are 26 sea caves in total to explore! Fort George sits pretty atop a headland in the north of the island. It’s a forward-thinking restaurant, bar and venue-for-hire with spectacular sea views. They offer free Land Rover transfers from Vis Town for all dinner guests. I have also sent my clients to some great ‘farm to table’ establishments on Vis. One my favourites is Pol Murvu. They are all about sustainable agritourism and create fantastic dishes using the ingredients they grow onsite. Tamara Sen is from Split. 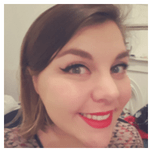 She moved to London in 2008 and is now Product Manager & Sales Associate at Unforgettable Croatia’s head office. Give our Croatia travel experts a call on 020 8004 2345. We’ll be happy to talk you through many more recommendations of things to do on Vis and how to visit the set locations of Mamma Mia! Here We Go Again!. 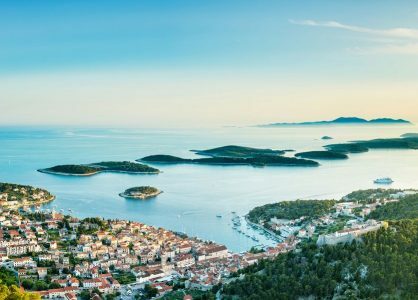 One of the best ways to see Vis is on one of our Croatia island-hopping cruises. Alternatively we can create a bespoke twin or multi centre Croatia holiday with a stay in Vis.